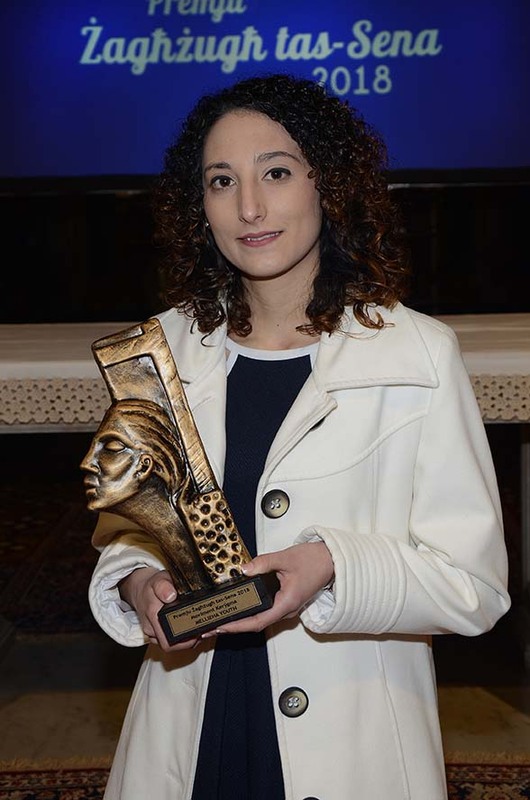 The Youth of the Year Award 2018 organised by the Kerŷgma Movement was awarded to Mellieħa Youth. The award, which is sponsored by APS Bank, was announced by Mrs Bernice Micallef, President of the Kerŷgma Movement on the 1 February 2019. The trophy is awarded every year to a youth or group of youths who set an example to other youths through the work they perfom in the voluntary sector for the benefit of people in need. A thanksgiving mass was celebrated by Archbishop Emeritus Paul Cremona O.P. at St Dominic’s Church, Rabat and he later presided over the award-giving ceremony. Also present were Mrs. Bernice Micallef, President of Kerŷgma Movement, Dr Romina Cuschieri, Chairman of the Selection Board, Mr. Jeremy Vassallo representing APS Bank, and other distinguished guests amongst who was soprano Amy Marie Borg. 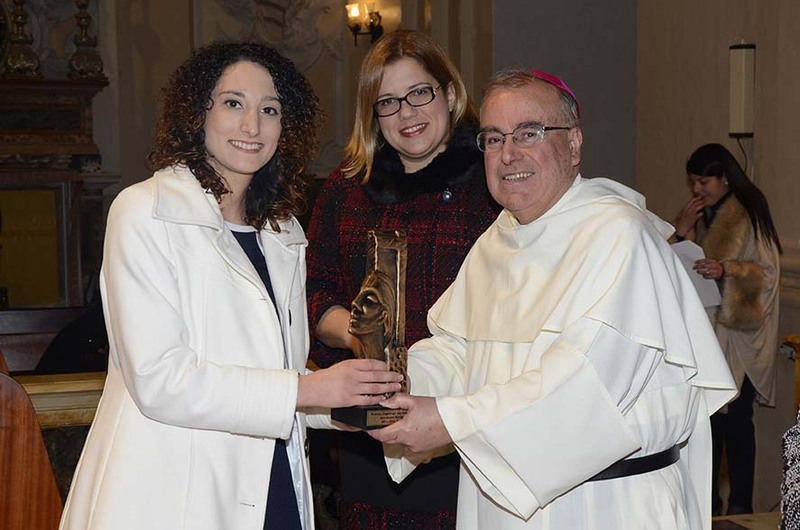 The Youth of the Year Trophy was handed to Sarah Vella who represented Mellieħa Youth by the Archbishop Emeritus. The use of performing arts to foster team work. Twice a year they produce an original and very popular Pantomime for the Christmas period and a Musical for the Easter period or during the summer the holidays. Dinners, BBQ’s etc. to be of service to others. With the help of experienced people, the youths get busy in the kitchen and service area; from peeling potatoes to table setting and cutlery polishing … they do it all. Their culinary activities are also well attended by the public. Live-ins and religious functions to nourish our soul. The group occassionally organises weekend retreats. The youths get away from everyday life chores and focus on their spiritual needs. Fund raising events to help those in need. From outdoor activities lasting a day to indoor activities that last for 2 weeks … the youths try to be as varied as possible. Some of their yearly activities include Festa Familja, Christmas Market, a 48 hour Marathon and Passover Meal. All proceeds from these events go towards those needing a helping hand. Voluntary work in Lourdes to help others who are less fortunate. 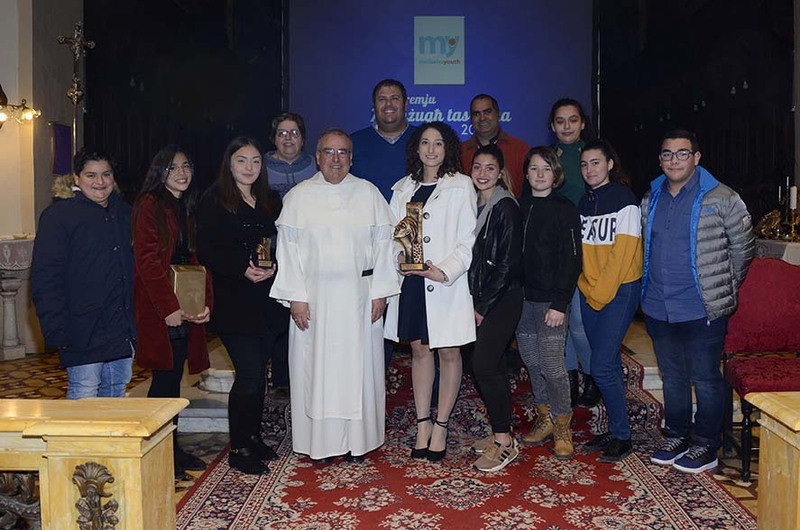 Mellieħa Youth have been joining the A.V.L pilgrimage to Lourdes for the past 17 years to carry out voluntary work with the sick and elderly people. This is the highlight of their work and most of the funds they raise are directed towards this voluntary experience. Here the youths get to experience first-hand what they discuss during their weekly meetings. They meet people with different abilities, different backgrounds, different upbringing and get to experience the happiness of giving time to someone else without expecting anything in return. A good number of the youths take part in this voluntary mission every year. Social activities or exchanges to engage with society. The group involves itself in active citizenship both through local village activities such as ‘Milied Mellieħi’ and exchanges with other peers from foreign countries. 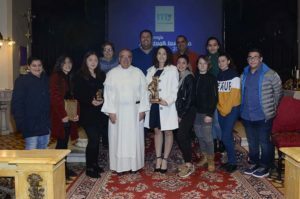 The nominees for this year’s Award were: Matthew Deguara from Siġġiewi, il-Grupp Żgħażagħ Corpus Christi, Għasri, Mellieħa Youth and Sezzjoni Żgħażagħ – Soċjeta’ Filarmonika Santa Marija, Żebbuġ Gozo. This trophy is awarded every year in honour of the late Dr Rudolph Saliba who was Kerygma Movement’s first president.